Jillian (Gemmell) Stroh has been working with horses for over a decade. 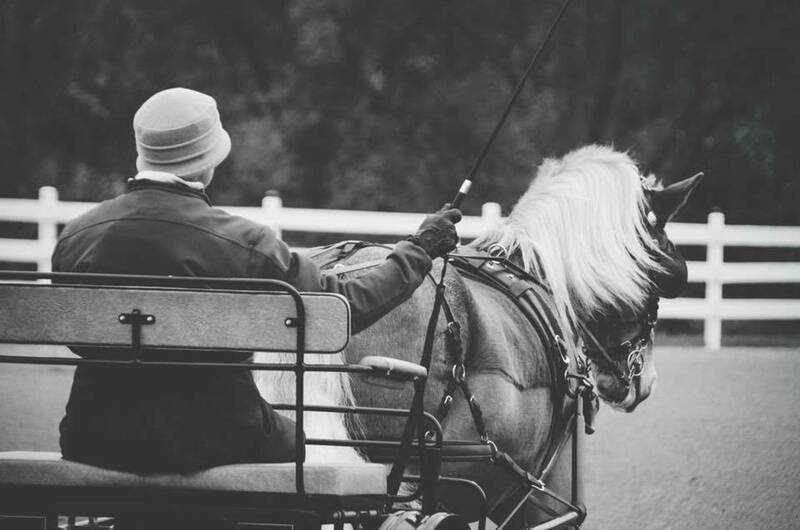 Although she began her training in the saddle, it wasn’t long until she was carriage driving full-time. 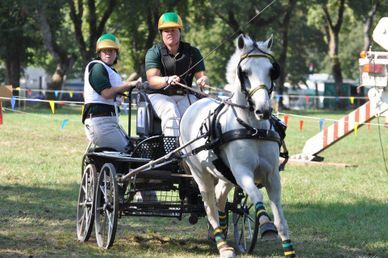 In her teens she started competing in pleasure driving in the New York show circuit. Jillian's extensive showing experience extends along the east coast, from Canada to Florida. Out of high school, Jillian became a working student for Muffy Seaton at Shepherds Purse Farm. Jillian learned the ins and outs of combined driving, including travel to C.D.E’s and driving all different types of equines. As a working student, Jillian was able to regularly drive singles, pairs, and tandems, and gained experience driving four-in-hands. In 2008, Jillian became full time navigator and groom for Janelle Marshall. 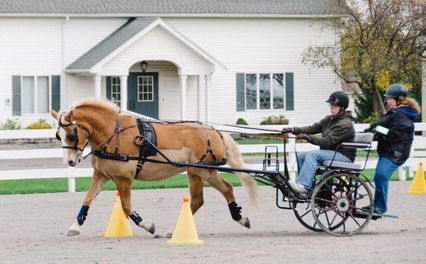 In 2011, Janelle, Jillian, and her pony Captain Jack Sparrow went to the World Pony Driving Championships in Slovenia and finished 18th out of 31. She is thrilled to say her experience is now at an international level. Jillian graduated from Morrisville State College with an associate’s degree in agriculture business. Jillian is a member of the Cherry Valley Carriage Association and was a board member and newsletter editor for three years. 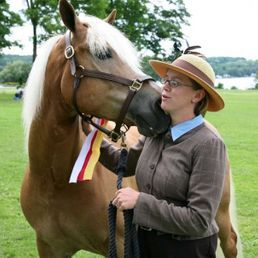 Jillian has been a member of the American Driving Society since 2003 and a member of the American Haflinger Registry since 2006. For many years, she was an active member of the N.Y. West Highland Terrier Rescue, helping with rescue, transport, and fostering of westie's in need. When she is not working with horses, she enjoys spending time with her husband Derek, their children Emmett and Teagan, and their four horses, four dogs, two cat, two parrots, and flock of chickens. Photography is passion of Jillian's she enjoys as much as driving. Jillian is currently training out of Freshwind Farm LLC in Eaton, NY. - 2013 Lorenzo Driving Competition Jillian and Nolan were only ONE points away from reserve champion, with a second in working, reinsmanship, carriage dog, and my route/your route! 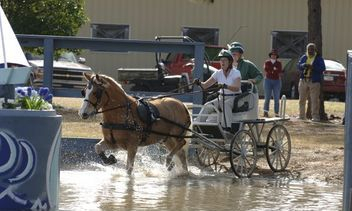 - 2014 Northampton Driving Show- while no championships are awarded at this show, the team placed first in reinsmanship, second in working, first in timed obstacles and third in gamblers choice. - 2016 Walnut Hill HDT preliminary pony champions and overall preliminary champions. Jillian and Nolan had the lowest scores in dressage, cones, and the obstacles- their dressage score was a 40.33! -2017 Lorenzo Driving Competition- Jillian and Nolan won the intermediate single pony division with a dressage score of 41.60. Jillian and her family's dog Angus (a west highland terrier) decided to try competing in carriage dog classes. - 2011 first place Lorenzo Driving Competition carriage dog class, and fourth at Walnut Hill. In 2017, the Gemmell/Stroh family said their goodbyes to Angus at the advanced age of thirteen. Angus was diagnosed with GME in 2013 and was retired from showing shortly after. He lived out his years raising their family puppies and children. He is missed so very much!